A friendly reminder that if you need to get an order shipped in time for Christmas, our cutoff is today! 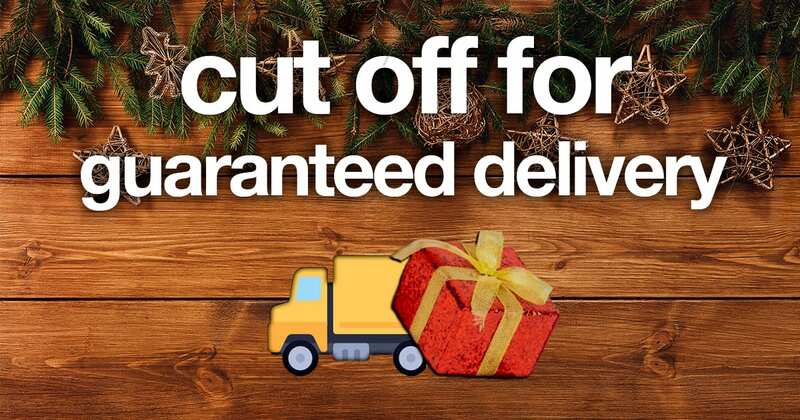 We’re working with our couriers to make sure any orders placed before 2:00pm today will make it to you in time for the day. If you order after 2:00 you’re taking a chance! Don’t forget you can opt to Click & Collect! If the items are in the shop we aim to have them ready for you in only a few hours. If that isn’t enough of a treat for you, we’ve gone into our Garmin products overnight and put reduced the price on loads of them! Techie or not, give your fit friends the gift of Garmin this Christmas.